From the cinema on the 3rd floor in Midvalley, walk towards the other end. Keep walking until you see the expo hall on your right. Waku Waku will be on your left. 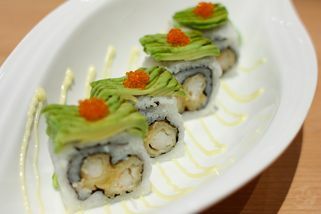 Waku Waku, which means “excitement” in Japanese, is a modern Japanese-fusion restaurant located on the top floor of Midvalley Megamall, on the same floor as the cinema. 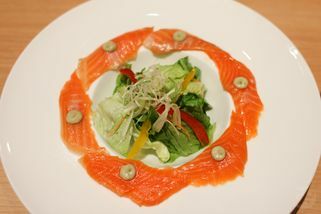 It features a huge menu which offers traditional Japanese cuisine, as well as some fusion Malaysian/Western/Japanese dishes which are of course, unique and interesting. 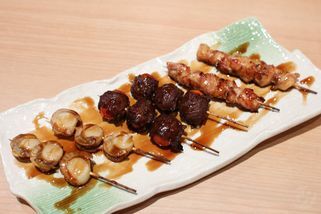 Some of their most popular dishes include: tokusen kushiyaki moriawase, double cheese hambug steak, salmon carpaccio, dragon roll and nasi lemak jepun. 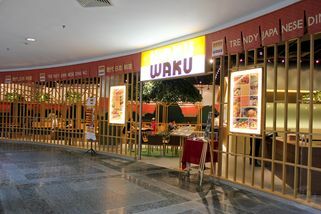 Waku Waku occupies a huge space in Midvalley, so the inside is spacious. There are plenty of tables and seats which can accommodate large parties or events. The restaurant has an “open” concept whereby all the tables are spaced apart without walls or dividers. 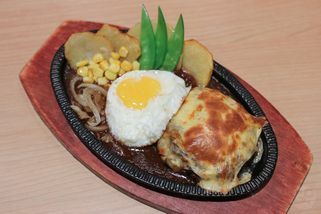 I had the Hamburg Steak on a sizzling plate with wafu sauce. The Hamburg (minced beef patty) was a decent size but mediocre, and the sizzling plate was a little lacking in size and sides. 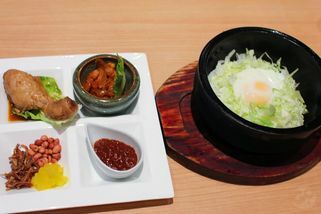 At RM19.90 it is one of the more affordable Hamburg sets available so if you're interested to just find out what the popular Japanese meal tastes like, this is an option but I have had better ones. Also ordered the Chocolate Brownie with Vanilla Ice Cream for dessert. Not a fan of the brownie, too dense and sweet for me. Prices are reasonable though for the food here. Good place to hang out and catch up with friends over a few nibbles and drinks. Waku Waku (apparently means Tremble in Japanese, can anyone clarify?) 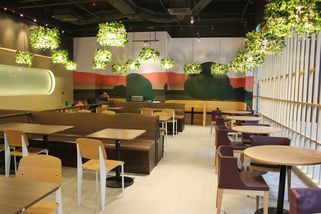 is another newish Japanese restaurant situated in Midvalley Megamall. Apart from the regular Japanese such as sushi (some of their sushi comes with sambal) and sashimi, Waku Waku has a whole page worth of Pan-Asian dishes with Japanese touch. Char Kueh Tiaw, Bibimbap are amongst these interesting dishes. It seems that they are rather excited about their hamburg steaks too, serving them in various styles. Altering a traditional recipe can be risky but I applaud them for giving it a go. My Nasi Lemak Jepun was indeed an innovatie dish. Comes with a runny egg on the rice in a hot stone pot, braised soy sauce chicken, mild prawn sambal, pickled radish, anchovies and peanuts. The chicken drumstick was exquisitely tender and nicely seasoned (you can’t go wrong with a braised chicken dish I guess), and the sambal complements well with the rice which was coated with egg yolk (!) and still sizzling away. The pickled radish provided a much need piquancy to balance the richness. Best thing about this dish? Crispy rice at the bottom from the hot pot. Overall quite a successful dish.